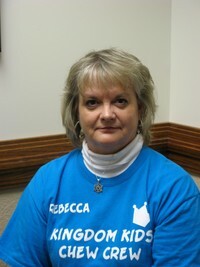 Rebecca has worked in Church Ministry for 35 years and is confident that is exactly where God has called her to serve. Rebecca is Member & Community Care Coord. as well as Part-Time Office Administrator. Rebecca and her husband Ron have 3 adult children as well as a delightful 4 year old grandson. Rebecca enjoys reading, spending time with family and friends and watching sports of all kinds.